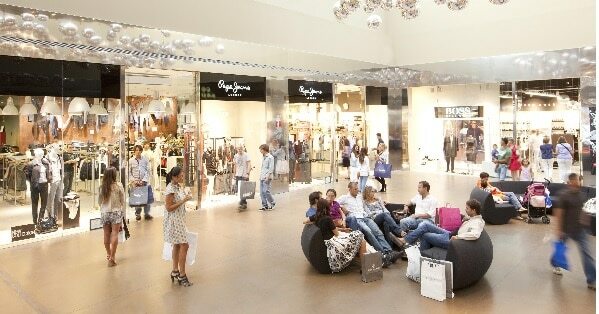 San Sebastian des loo Reyes The Style Outlets è anche integrato all’ Alegra Park, una grande area commerciale e ricreativa in fase di sviluppo, con un offerta molto vasta , non solo di shopping. Insieme a San Sebastiian des los Reyes The Style Outlets il più grande negozio di Decathlon in Spagna. Acosta • Adidas • Adolfo Domingues • Alain Afflelou • Alvaro Moreno • Amichi • Arrow • Asics • Barbour/Gant • BDBA • BH • Biba • Bimba Y Lola • Books Center • Callagahn /Gorilla • Calzedonia • Camper • Canterbury • Centro de Oportunitades El • Corte Ingles • Charanga • Crocs • DayDay • Desigual • Dockers • Dropshot • Fifty Factory • Folli Follie • Forecast • Garcia Jeans • Geox • Gocco • Guess • Havaianas • Hispanitas • Home & Cook • Home Interiors by Textura • Hugo Boss • Inglot • Jamaica • Javier Simorra • Jerem • Kiko • Lamford • Le Coq Sportif • Levi’s • Lindt • Lodi • Loreak Mendian • Lujans • L’Oreal • Malloy /Boxeur des Rues • Mango • Marvelis • Mascarò • Massimo Dutti • Mayoral • MBT • Menbur • Motostore • Munich • Mustang Outlet • New Balance • Nice Things • Nike Factory store • O Bag • Ohigar • Panama Jack • Parfois • Pedro Miralles • Pepe Jeans • Petit Bateau • Pikolinos • Primor • Promociones • Rockport • Salsa • Samsonite • Simone Perele • Skecher • Starbucks coffe • Steven Madden • Storeman • Suit Inc. • Sunglass Hut • The Body Shop • Time Road • Trasluz • Trucco • Under Armour • Under blue • United Color of Benetton • Uterque • Valecuatro • Vilagallo • Volcom.